Pre-orders for the Oculus Rift headset from Facebook-owned virtual-reality outfit Oculus VR will begin Wednesday, but gamers waiting for Oculus Touch controllers will have to wait a little longer. Pre-orders for the Oculus Rift headset from Facebook-owned virtual-reality outfit Oculus VR will begin at 8 a.m. PT/11 a.m. ET Wednesday, but gamers waiting for Oculus Touch controllers will have to wait a little longer. Oculus announced in a blog post that every Rift headset will come pre-bundled with Lucky’s Tale from Playful, as previously announced, along with new addition EVE: Valkyrie from CCP Games. On Touch hardware, we’ve made significant advances in ergonomics, and we’re implementing many changes that make Touch even more comfortable, reliable and natural. We’re also implementing changes that improve hand-pose recognition. We’re also outputting larger numbers of pre-production runs, which means we can get a lot more Touch hardware in the hands of developers who need it. Finally, Oculus founder Palmer Luckey will take part in an Ask Me Anything session on Reddit Wednesday at 6 p.m. PT/9 p.m. ET. 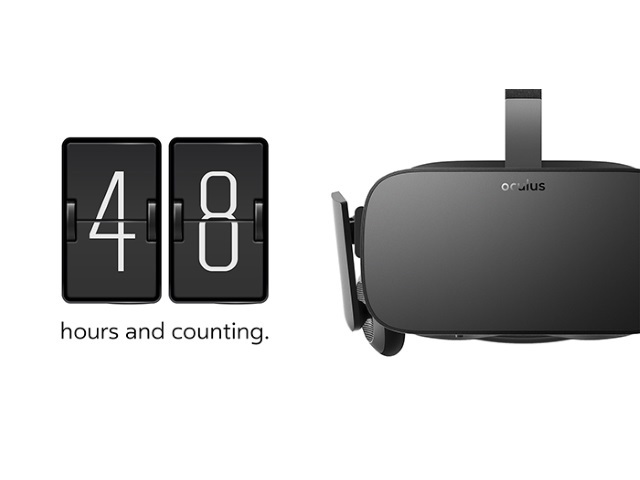 Gamers: Do you plan to pre-order the Oculus Rift?